Mr. Staebell, an Orchard Park High School graduate, is a versatile bassist and music educator. He has taught strings and directed the orchestras in the Iroquois School district since 1983. He is a graduate of the Eastman School of Music and received his Masters Degree from the State University College at Fredonia. Mr. Staebell has studied with several master teachers of the double bass. He has given clinics in colleges and public schools as a double bass artist. 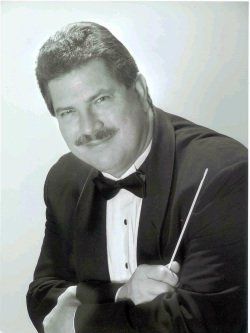 As a classical player, Mr. Staebell has performed with many major symphony orchestras including the Buffalo Philharmonic, Rochester Philharmonic, Charlotte North Carolina Symphony, New Mexico Symphony, Kansas City Orchestra, the Nationoal Symphony of Canada in Ottawa, and the Boston Pops Orchestra. As a jazz artist he has performed with artists such as Doc Severinsen and The Tonight Show Big Band, Chuck Mangione, Bobby Militello, Al Jerreau, Joe Turner, Mark Murphy, Billy Eckstein, Joe Farrell, Maynard Ferguson, Glenn Miller Band, Rosemary Clooney, Mose Allison, Dianne Reeves, Nancy Wilson, Woody Shaw and Johnny Griffin, among others. He has done studio recording for television and film for Warner Brothers, Universal, Columbia Pictures and MGM studios. Mr. Staebell conducted the Orchard Park Symphony Orchestra for three seasons, Erie County Festival Orchestras, Area All-State Orchestras and The Southtowns Youth Orchestra since its beginning in 1986. He is still quite active performing and recording in this area of WNY. Mr. Staebell is proud to have the support of his wife Rebekah and his children, who are all musicians, Aaron, Justin, and Emily.